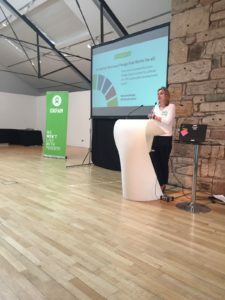 On 27th June, 35 representatives from diverse organisations came together for this Policy Forum dedicated to a discussion on how the Scottish Business Pledge can help Scotland to deliver the Sustainable Development Goals which the Scottish Government promised to meet by 2030. Find here the report which details the discussion. Find here an Oxfam Scotland Policy Briefing, published in August 2018 and written on the basis of the Policy Forum discussions.